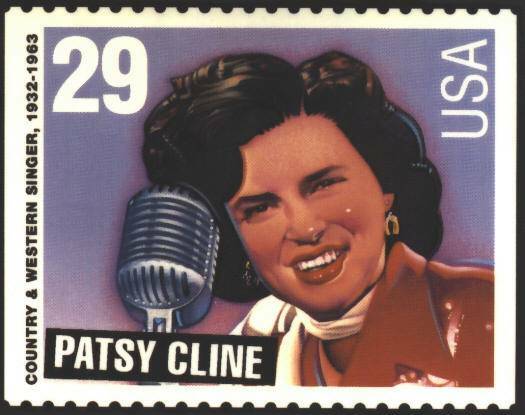 Had countrypolitan songstress Patsy Cline not boarded that fateful Nashville-bound plane in 1963, today would have been her 78th birthday. Cline, born Virginia Patterson Hensley in Virginia, played a major role in breaking down the hardened barrier between country-music success and pop-music success along with other greats like Skeeter Davis and Brenda Lee. She typically sang of heartache, longing and seemingly fierce male dependence but her rich vocal-work soared with heartbreaking emotion. Her outfits always emulated impeccable class, and her legacy as a true jukebox heroine lives on. In honor of the Crossover Queen herself, we’ve compiled our top 10 Patsy Cline songs. It shouldn’t be much of a shocker that one of Patsy’s jolliest songs details a reunion with a past lover. Shuffling drums and peppy piano complete a lovely backdrop for the joyful reunion. Poor Patsy. Here’s a glowing example of the lady’s prowess nailing the lost love longing sensation. Caution: This song really oughtn’t be paired with a recently broken heart and a cuppa hard liquor. Usually PC’s songs of longing involve fault on the man’s end. This time, however, follows more of a whoops-a-daisies on hers. Hey, everyone makes mistakes and occasionally lets a good one go. Even Patsy Cline. Cline sings almost playfully, careless about being torn between two pretty appealing dudes. Blithe fiddle glosses around with aptly placed triangle strikes amidst lyrics depicting her dodging “the other guy” all over town … both other guys. Another slightly saucy number regarding infidelity (“Well I wasn’t foolin’ around the day I said I do/ But many a night I wished that I had been a-foolin’ too,”), it isn’t her most girl-power-centric anthem (“And when you’re tire of foolin’ around with two or three/ Then come on home and fool around with me,”). Despite the minor contradictions within the ditty, the tropical vibes’d make any cowgirl ditch her boots in favor to go barefoot and maybe even don a grass skirt. Sadly, this song doesn’t seem to have much connection to the Americana classic in Dillon, S.C.. However, Cline’s imitation of the Frito Bandito slays the number. Here Patsy lays out exactly why no one ought to go rifling through old shoeboxes stuffed with love notes from ex’s. Lines like, “I miss you, darling, more and more every day/ As Heaven would miss the stars above,” dot the air like un-erasable tear stains. Geez, Pats. Gettin’ us a little misty over here! “Walkin’” certainly marks the height of Cline’s cross-over success, ranking high on both country and pop charts—peaking at #2 and #12—respectively. It’s also probably the first song most folks use to turn on others to the contralto singer. Certainly notthe lasttime time someone churned out a morose ditty regarding refurbished heartache thanks to staring at old photos. “She’s Got You” damn-near cracked the number one slot on the pop charts in 1962. Its universal appeal remains tangible today … Over forty years later, “I’ve got your memory, or has it got me?/ I really don’t know, but I know it won’t let me be,” continues to ring in a most beautifully haunting way. And how could the one Willie Nelson was behind not make the list? There is a reason everyone in the karaoke booth fights over covering this classic tear-jerker and if we have to tell you, well, you just wouldn’t understand.